HX 10x42 is rated 4.9 out of 5 by 10. Rated 5 out of 5 by GregC from Solid value for an excellent Bino Have been looking at options for almost a year...finally the Hunter 10x42 were offered for a great price and I jumped on it. I have Steiner glass on my rifle, performs flawlessly and used their binos daily on the bridge of a ship throughout my career. Reliable, rugged and clear. Finally have a pair for my outdoor use and confident they will perform. Highly recommended as a compact and reliable tool for use afield. Rated 5 out of 5 by redbird from Magical! I've always had good binoculars, but then I wanted a really good pair, so I got these 10x42 Steiner. It took me a few days to get used to them, because in my haste I didn't set them up properly. Now, using them is a joy - a trip in fact. I take them everywhere. One amazing thing about them, is that the clarity and contrast increase at dusk! Truly magical technology! 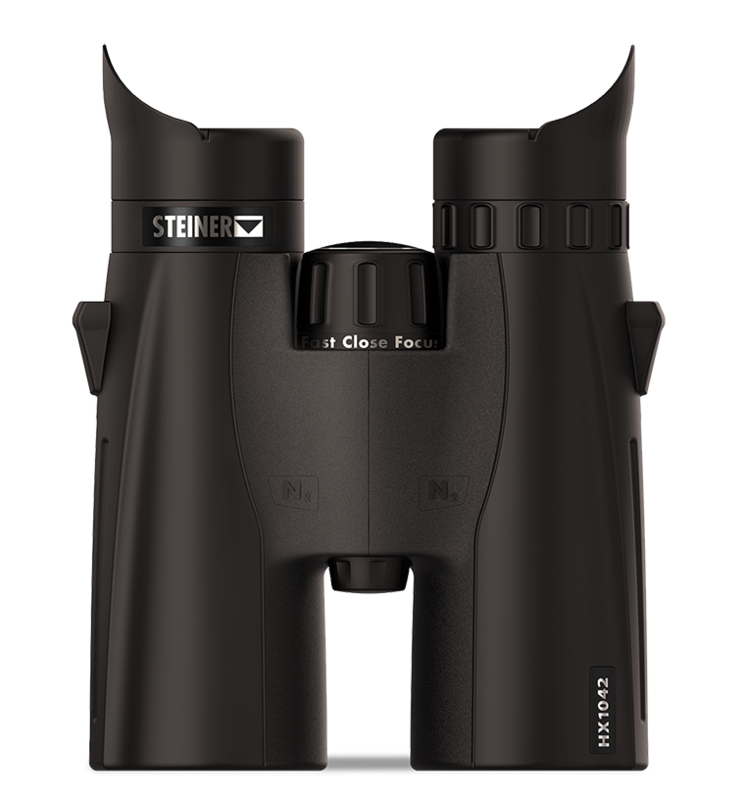 Rated 5 out of 5 by Thebuckmaster from Compact, Rugged and Crisp Clearity Bought these binoculars because of Steiner quality. The twilight factor and Luminosity ratings are very high. After looking at many reviews and many types of Binoculars I purchased the HX 10x42. Nice look and feel, very satisfied with my purchase. Rated 5 out of 5 by DMK700 from Great Optics ! Looked at most major brands of quality optics and decided on the HX 10x42, I am very satisfied to date with my decision. Clarity, sharpness and overall detail to workmanship are superb ! Rated 5 out of 5 by garyc657 from Fantastic Binoculars I bought these binoculars for birding a month ago and I am extremely impressed. They gather light very well so even in lower light conditions I can see very well. I generally notice how well things are designed and constructed and these binoculars hit all the buttons, well designed and solid construction. This is my first pair of Steiners and I'm very impressed. Rated 5 out of 5 by Hunter1234 from Quality Product with Strong Warranty Very clear glass even in low light conditions. The optics due not strain your eyes after lengthy viewing sessions. Focus is fast and effective. Armoured housing appears to be very durable. Rated 5 out of 5 by RichF from I bought the HX 10x42 based on quality and price. Great product and will be using it for the upcoming hunting season. The owner's manual is minimal at best and did not offer much. Rated 4 out of 5 by Samuel85a7 from objectives rubber caps the caps that protect de objective lenses are verry loose. It open by itself as you just walk with the binoculars around your neck. is this binoculars waterproof ?? I'm not sure what you mean, we have no models designated &quot;HD&quot; The HX binoculars utilize High definition lenses and the Nano-protection coatings to provide a crisp, clear image to the user. Nope! You can definitely still use them! 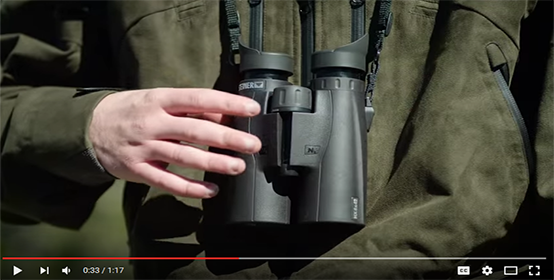 The eyecups fold down, and the eyepieces twist in and out so you can tailor them to your perfect setup.